A small corner of Georgia near the sea town of Batumi. Old World wine regions can be summed up as “Europe” and then New World wine regions are essentially everything else. This is a pretty classic definition of wine and has seen us placing Bordeaux, France as distinctly Old World and Barossa Valley, Australia as distinctly New World. The problem is that these classic definitions are eroding and you’re seeing regions near Santa Barbara, California producing Chardonnay that’s much more similar to Côte de Beaune, France than it is to the oak butter we used to know to be Californian Chardonnay. I would like to propose that we add in a third definition to the Old/New classifications which is, Real World wines. In this would be many New World regions like South Africa where they’ve been producing wine for 400 years. Or then there’s Israel and Turkey, who have been producing wines since Biblical Times and the later even lays claims to many of its own native grapes. Despite this, people usually say, “Old World with New World direction” or something else equally awkward. 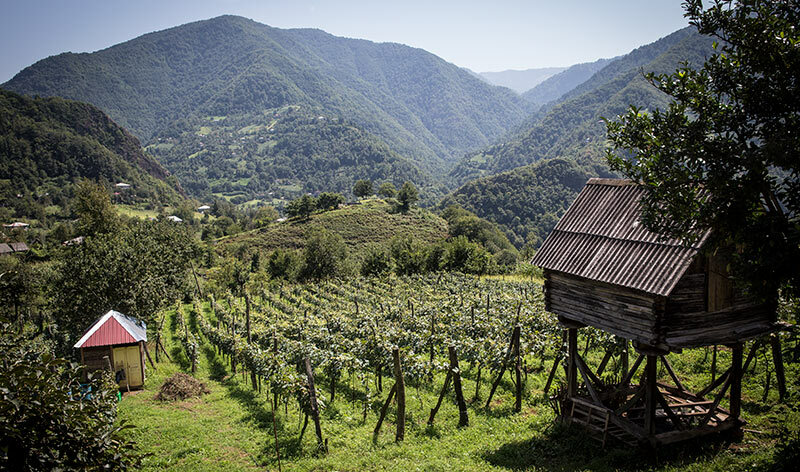 Georgia is important to note as its kvevri amphorae were taken into Old World regions such as Slovenia, Italy, France, and Spain and now people are starting to make new wines from them. Likewise, wineries in Georgia have been using what the Georgians call, “European Technology” but is just production with steel tanks and oak barrels for decades now. This is but one example of blossoming cross-pollination in the wine world. These regions that are neither Old nor New are emblematic of existing in a most interesting time for wine production as I feel we are learning more about the drink now that at any point in, well, ever. Countless old, yet not Old World regions are reclaiming terroirs and native grapes to reclaim their space on the world wine stage and we’re seeing an exchange of ideas and craft of winemaking that spans the globe. While it doesn’t always work, this has been the modern trend as young winemakers will intern at various corners of the winemaking world thus bringing with and carrying back ideas and traditions. I’ve been posing this question for some time to those who run blind tasting certifications but in short order, the idea of a style or profile being from one region or another is going to erode away and New/Old definitions will become a thing of the past. It’s inevitable and it’s a reflection of a current state of living interconnections by airplane and internet that is now, the Real World in wine.